Calumet Heights is part of a cluster of neighborhoods that have become my point of reference, my home base…the Southeast Side. 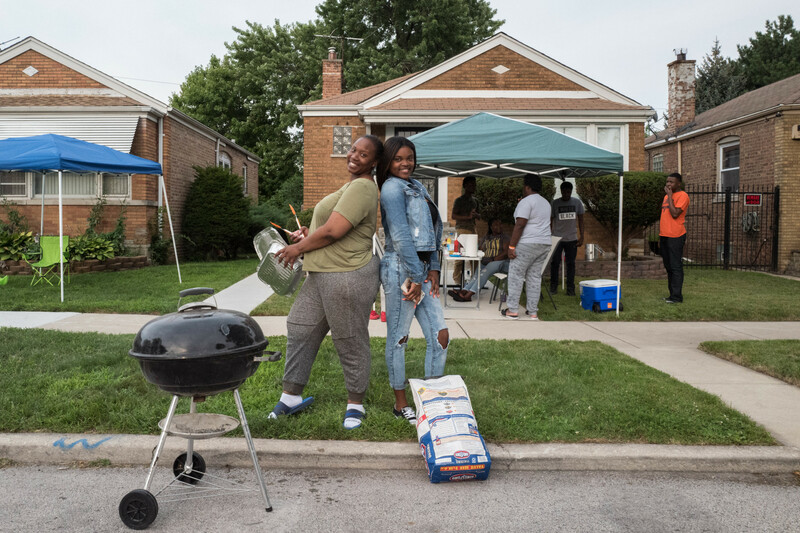 Pullman, South Chicago, South Shore, Avalon Park, Chatham, and Grand Crossing are all members of this “tribe.” Each neighborhood is distinct and unique, but they all share a commonality that makes me feel at home here. We are all strivers. People here care about each other and dream big. When faced with challenges, we “roll up our sleeves and get to work.” Maybe it’s the proximity to the old steel mills, the refineries of northwest Indiana, or the manufacturing past of Pullman that make everyone here, no matter their socioeconomic status, at heart a working-class person. I grew up among school teachers, city workers, and police officers just a hop, skip, and jump from the doctors and dentists on Pill Hill. At the end of a long week my parents would visit neighborhood “lounges” (a South Side version of the taverns of the North Side) to let off steam and listen to Al Green and Curtis Mayfield on the jukebox. As a boy I dreamt of an exciting world beyond the Southeast Side from the safety of my hiding place high in a tree in front of my house. I’d often go there to read books in the dappled light of its leaves. I’d listen to the whoosh of sprinklers and the drone of lawn mowers while trying to catch a whiff of grilled meats from some distant neighbor’s grill. My buddies and I would hunt for garter snakes among the ragweed of the railroad embankment by Funtown on 95th in earshot of the rollercoasters and Ferris wheels. It’s funny to me now that at the time this was all happening I didn’t value these experiences at all. I couldn’t wait to get away and discover the “true me” that I knew was out there somewhere. But even after going away to college in New England, moving to D.C., living on the West Coast, and expatriating to Brazil, the simple, “insignificant” pleasures I’d dismissed as a youth kept calling me home. Now I’m back, in the same house on Ridgeland that I knew as a child with some of the same neighbors I loved. They’re a bit older now but then again, so am I. Some of the things I remember from my childhood like Funtown are gone but most are still here, all the important things. 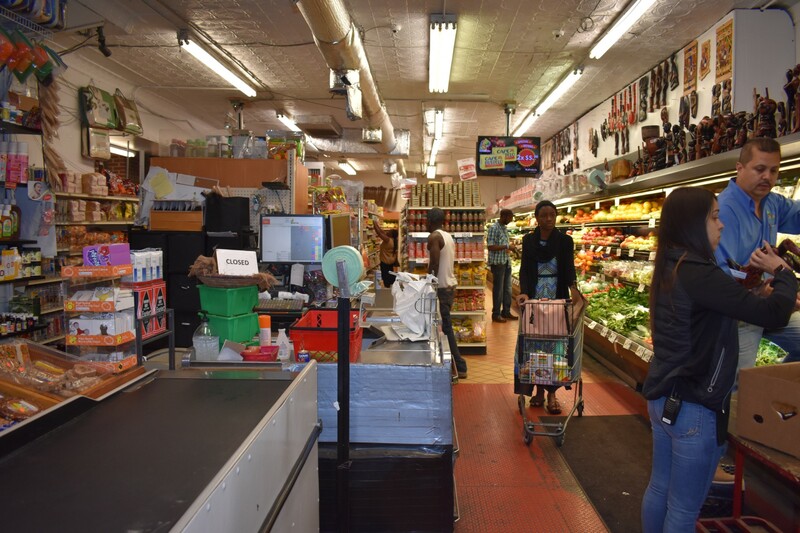 The spirit of the place, the comfort and safety, the care and concern, the can-do spirit are all still here, and even though some stores have closed and old friends have moved away or passed on, the intangible and indescribable spirit of the Southeast Side is very much still here. I hope that you will get a sense of some of the great things that are going on in this neck of the woods by reading this section of the Weekly’s “Best of the South Side Edition” and want to be the first to welcome you to our part of the city! Ben Handy is the president of the Ridgeland Block Club Association and publishes the neighborhood newsletter The Ridgelander at ridgelandblockclub.com. He is a passionate leader who shares his enthusiasm, strategic thinking, and community building ideas with his neighbors in Calumet Heights. He has professional experience in both the private and public sectors, but his abiding passion to build up communities in need has drawn him more to public service. Straddling the Indiana border to the east, Calumet Park beach in East Side is the southeastern-most Lake Michigan coastline in Chicago. The 199-acre park was originally designed in 1903 as part of the South Park Commission’s neighborhood park system, following the plans of the famous Olmsted brothers, which also included Washington and Jackson Parks. The park boasts a seemingly exhaustive list of amenities for year-round use: sports fields, two gyms, a fitness center, the Lake Shore Model Train exhibit, a gymnastic center, sewing and upholstery studios, a woodshop, and multi-purpose rooms. But in the summertime, the beautiful sandy beach and cool waters of Lake Michigan are obviously the main draw. 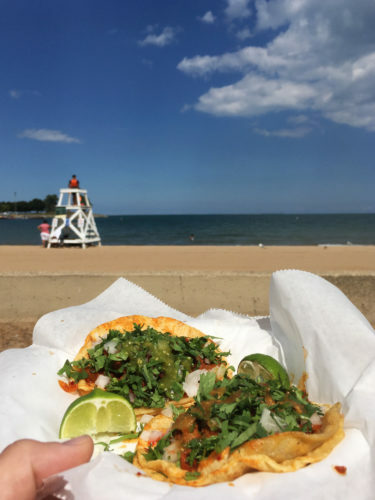 If you didn’t bring your own picnic, have no fear—I would go as far to say that the beachside concession stand at Calumet Park, Morelos Tacos, is the best in the city. Of course they have the usual fare—beef hot dogs with distinctly neon green relish, burgers, chips, candy, soft pretzels, and pop—but the clear standouts on the menu are the tacos and tortas. For taco options, they offer steak, chicken, chorizo, and al pastor, topped, of course, with cilantro and onion and served with limes and homemade salsa. I ordered my usual go-to, al pastor, and I wasn’t disappointed. The meat was perfect, juicy and flavorful, and the marinade was the ideal blend of sweet, savory, and spicy. In fact, some of the best I’ve had, with a location that can’t be beat. 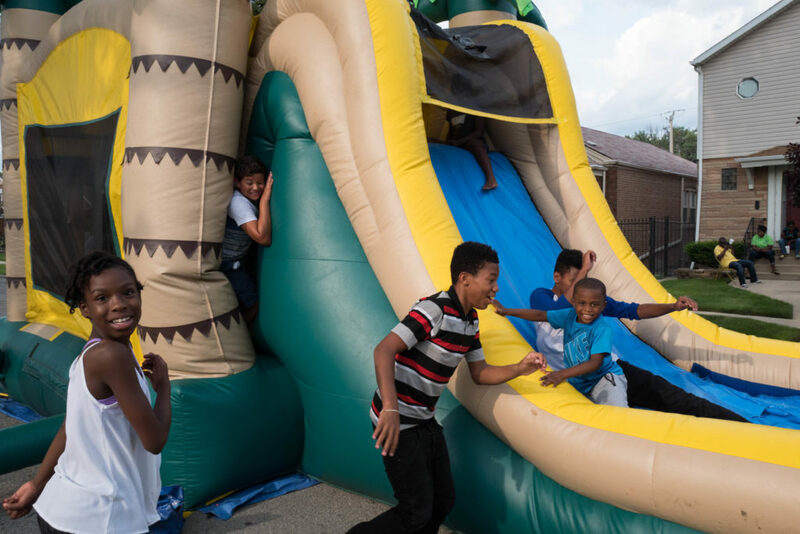 If there’s one thing to be said about the members of the Ridgeland Block Club Association (RBCA), it’s that they know how to put one hell of a block party. La Fruteria, 8909 S. Commercial Ave. Monday–Saturday, 7am–8:45pm; Sunday, 7am–7:45pm. (773) 768-4969. This was a great read 😊. I forwarded to former residents. Thanks so much. I really enjoyed your article. It brought back a lot of memories. I grew up in the neighborhood as well. Graduated from Caldwell. I remember going to Woolworth’s on lunch break. It sounds like your Block Party is very special.